Drawing a 3D Sketching with pencil. Hi friends good morning this is Raghao Singh from India. 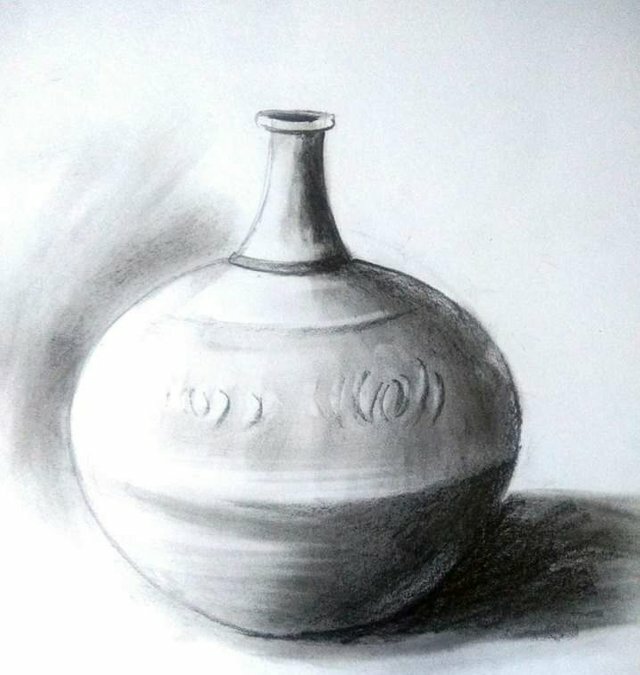 Friends I am very happy to share a pencil sketch artwork with all of you. This is a drawing of pot and I tried to make it 3 dimensional in view so it’s looks very beautiful and wonderful to us. While drawing a three dimensional figure it’s a necessary and most important to looks it alike to the original work and I tried my best to draw it alike with original picture. Friends here above I also added some snaps while making this so you can share your reviews about my sketching. We are always impressed when someone manages to illustrate a 3D figure with a pencil, we think it takes a lot of practice to achieve the correct perspective and that is something admirable. We thank you for giving a special touch to the platform and we hope to continue seeing your art here. Great pot art work. Thanks for sharing.